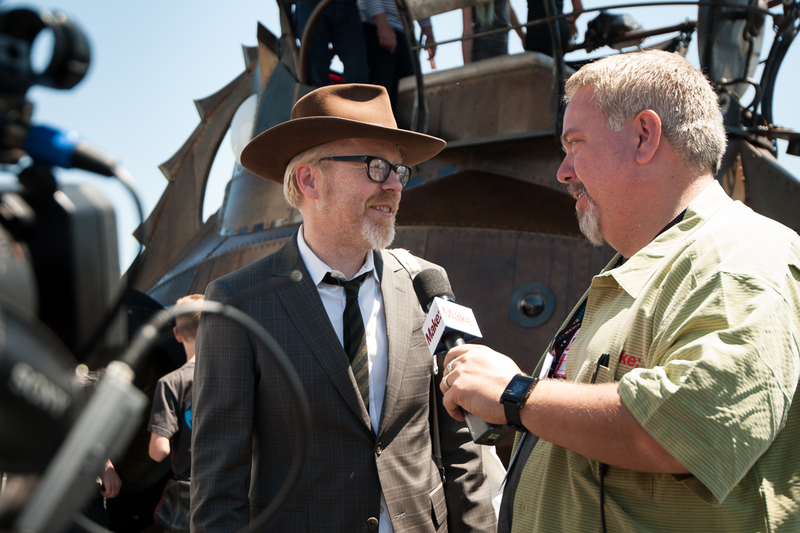 MythBuster and uber-maker Adam Savage entered the San Mateo County Fairgrounds riding a steampunk submarine for Maker Faire Bay Area 2013 this morning, and then from his perch in the conning tower imparted his message to thousands of DIY fans assembled. His favorite kind of explosion is a water heater explosion, because it feels like what you imagine an explosion should feel like. 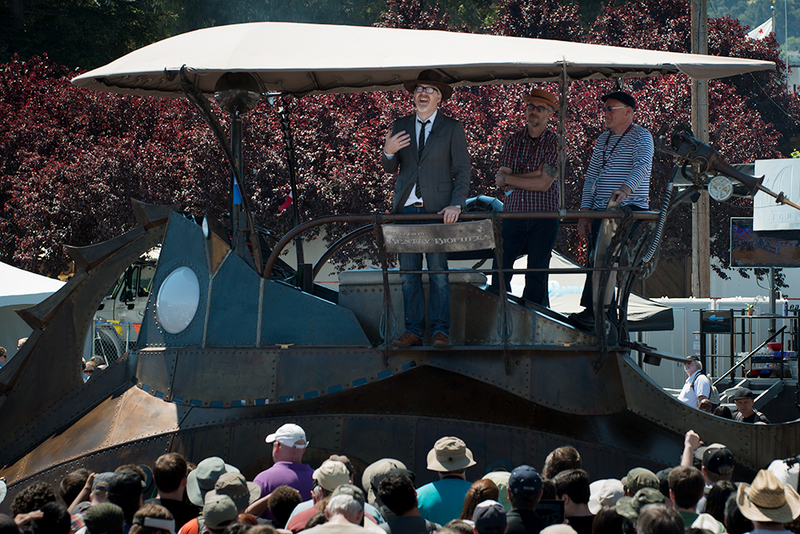 His favorite myth ever on <cite>Mythbusters</cite> was the Lead Balloon, because it was crazy and had never been done.